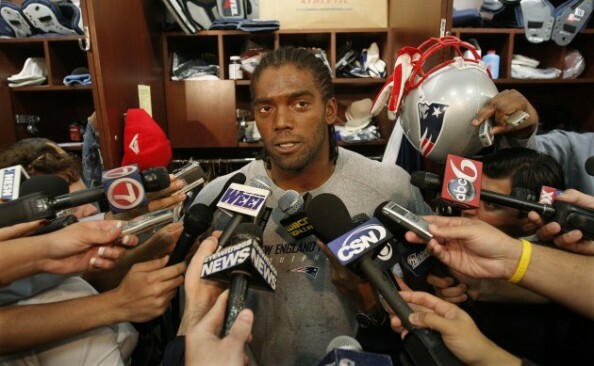 Randy Moss couldn’t stay away from the NFL for too long, and six months after his decision to retire from professional football, the 35 year old record setting wide receiver announced he’s coming back for the 2012 season, which will probably open some sort of bidding war between the teams. Don’t expect Moss to go for money, but for a shot at a Super Bowl. The New England Patriots, who enjoyed Moss’ services for three and a half seasons, which included the record setting 2007 16-0 season and a losing trip to the Super Bowl, Moss’ only visit to the big game in his 13 NFL seasons. Moss used both twitter and UStream to deliver his un-retirement message – I wanna play football. Your boy is going to come back here and play some football, so I’m really excited. I had some things I had to adjust in my life. Now back to biz!! There’s good an bad an u have to b ready for both! its in gods hand now. Looking at Moss’ career and some of the choices he has made over that course, between 1998-2010, you learn not to be really surprised about anything he decides to do, on and off the football field. Like his college (Marshall) head coach Bob Pruett said – It didn’t surprise me when he retired, and it doesn’t surprise me he wants to come back. I think he can be a great player for whoever picks him up. Randy Moss finished 2007 with 23 touchdown receptions, still the NFL record for a single season. Tom Brady, who is probably still recovering from another crushing end to a postseason, has said he’d welcome Moss back to New England. Before announcing his retirement back in August, Moss and his agent kept talking about how great of a shape he’s in, and how he is looking forward towards the 2011 season. Things changed quickly, and now, according to both of them, it had more to do with personal reasons. Maybe Moss needed to recharge his batteries after a 2010 season in which he played for three different teams. The five time All-Pro wide receiver has 954 career receptions (ninth all-time), 14,858 receiving yards (fifth all-time) and 153 touchdowns, second behind Jerry Rice. Whether he returns and makes an impact for a contender or just makes a fool of himself trying to relive the not-so-long ago glory days, Moss should be in the hall of fame when it’s all said and done.